Why is the Croc Classic Nano-Titanium Flat Iron so Effective at Straightening Hair? In case you were wondering straightening your hair does not always have to be a scary proposition. Yes, you certainly can damage your hair with the high heat found in today’s flat irons but many have features that make them ideal for use on all hair types. One flat iron model that’s getting consistently good reviews is the Croc Classic Nano-Titanium Flat Iron. As a matter of fact, the reviews on it have been so glowing that we just had to take a closer look at this innovative hair straightener. With this flat iron, you get the full benefits of titanium enhanced plate coatings. This flat iron will heat almost instantly. Its 1 ½” wide plates also provide plenty of surface area for straightening efficiently. It has a very wide variety of temperature choices too. You can choose the setting in 10ºF between 200ºF – 450ºF. It also has added Nano-silver technology for even more hair straightening benefits. The special hot air venting it has goes a long way to preventing damage when you use it on your hair too. There is not a problem retaining precise temperature with this flat iron. That’s because it has an FND digital display and digital temperature control. Temperature setting could not be easier and more accurate. It also weighs just over a pound but the creature comforts with the Croc Classic Nano-Titanium Flat Iron do not stop there either. This flat iron also has a lengthy 9-feet power cord with swivel end, a 30-minute auto-shutoff switch and a unique shape that seems to make straightening your hair easier. One of the best things about this flat iron is its Nano-silver technology. 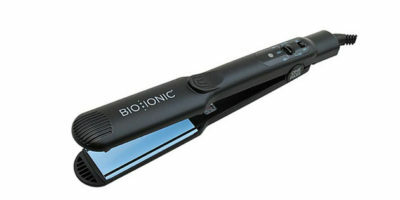 Many flat irons have the ionic technology but not many can boast ionic technology that also deodorizes and sanitizes. That is what the Croc Classic Nano-Titanium Flat Iron gives you. Nanotechnology is great for all types of hair too. It helps to give it brilliant shine while helping your hair retain much of its important moisture. There is one thing that hair does not like for sure. That is ultra-high heat. That is not a worry with the Croc Classic Nano-Titanium Flat Iron because it has some 25 different heat settings in 10ºF increments. You can set it anywhere between 200ºF – 450ºF. That means users of this flat iron can set the heat low and gradually work their way up to a heat setting that works for them and does not over dry and damage their hair. One of the more disappointing aspects of this flat iron is that croc only warranties it for a period of one year. This is not a budget brand flat iron so I think we expected more in this area. Some users with thick or coarse hair have complained it sometimes struggles to maintain its heat when they are using it. They realized this because the heat ready indicator light will come on and off as they are straightening their hair. We would not hesitate to recommend this flat iron to any person who this review perked up their interest in this flat iron product. 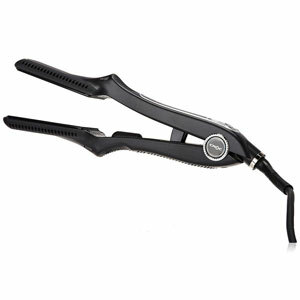 The Croc Classic Nano-Titanium Flat Iron has many strong points and few if any glaring weaknesses. 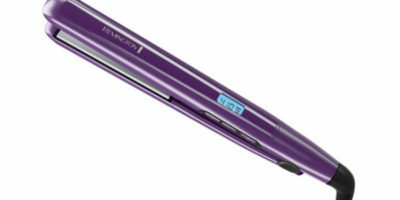 There are few added technologies for flat irons that work as well as Nano-silver technology. When you factor in its dual voltage capability, its quick titanium enhanced heating and the wide variety of high and low heat settings, that makes it a good hair straightening choice for you no matter what type of hair you have.